No matter your style or preference, we’re absolutely sure there’s a design trend out there that will WOW you. 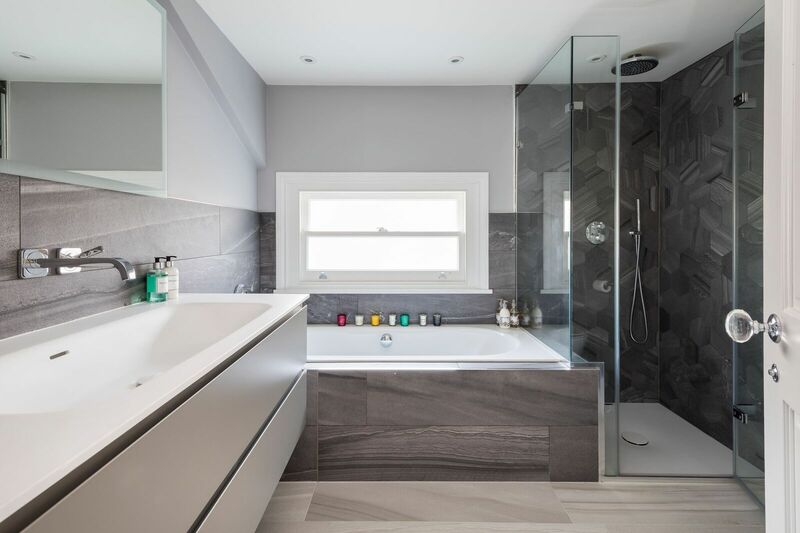 Kitting out your bathroom can be one of the most important and costly home improvement projects - not something that should be decided on a whim. This is one of our favourite colour schemes out there. The use of contrasting light and dark colours are a great way to bring a bit of zing to your bathroom. The best way of going about this is having the predominant parts of your bathroom a neutral, colder colour, with the smaller individual fixtures exhibiting darker tones. Maintaining this balance will provide the stylish look you’re going for, while at the same time making sure your bathroom feels light and open. Top tip: Remember to proceed with caution if your bathroom is on the smaller side… drowning your space in dark features can make it feel more cramped than it actually is. While any home can benefit from a period style bathroom, it’s particularly apt to have this design in a Victorian home. There’s something nice about acknowledging your home’s history, a gesture that is a priority for many homeowners. This trend is gaining traction across the UK, with many bathrooms now featuring various metallic touches. This can be presented in many different forms, but our personal favourites are rose gold, and brass. Small metallic accents can truly add a luxurious feel to your space; whether it be brass bath taps and shower head, or a gold metal lining to your cabinets. However it’s important not to go overboard with this trend… too much will kill the vibe you’re trying to go for. If you don’t want bathroom squabbles marking the end of a happy relationship, his and hers could be the right option for you! Plus, your bathroom will look twice as snazzy. Sinks: Rather than large, overbearing sinks that take up a lot of space, why not opt for a countertop basin. Not only will these look chic, but they’ll save space. Cabinets: His and hers cabinets are a great way to separate lotions and potions. You’ll never mix up your shaving creams again! Showers: If you’re feeling extravagant, you could go one step further - his and hers showers. If you have the space in your bathroom, these can be a really luxurious addition. Crittall glazing consists of a large pane of glass separated by slim black frames, most often in a squared pattern. Crittall can really break up your bathroom space, especially when the colour theme is based on whites or light colours - the dark framing can create a great contrast, while adding a little industrial character. Granted, this trend is not for those on a strict budget. Crittal glazing comes at a price, but can look fantastic alongside your shower. Plus, it will contribute to your home’s future resale value.